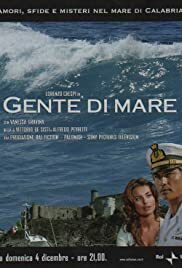 When I first watched "Gente Di Mare" I thought "ok, this is going to be another Italian boring show..." BUT IT WAS NOT! First of all, the story is believable and intriguing, as it is about the everyday's life of the Italian Navy. And then we have the marvelous landscapes of Calabria, southern Italy, and the beautiful Tropea, with its blue sea, the rural villages and, above all, its fantastic people.